Have you ever tried to put makeup on in a sewer? 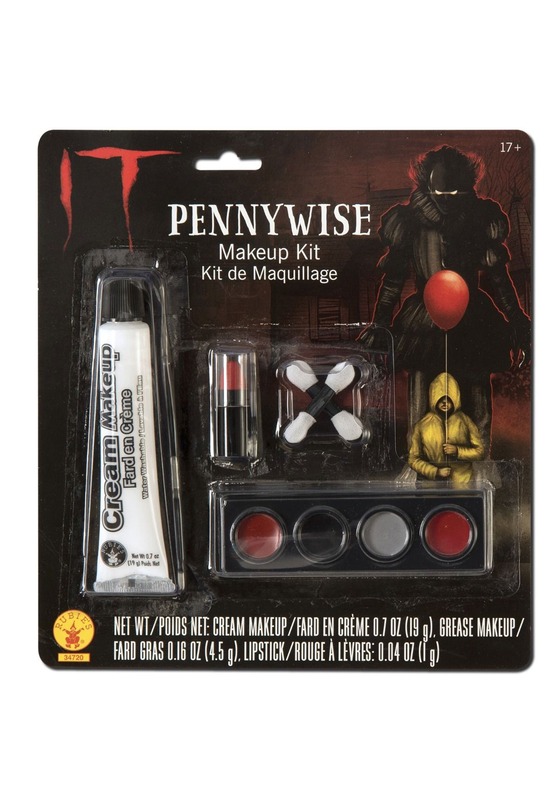 We've always wondered how Pennywise has been perfectly applying his clown makeup over the years. There are a few hurdles to be conquered. First, there is the problem of lighting. It's super hard to apply this white makeup evenly by flashlight light in the reflection of the street drain runoff. Secondly, the damp itself is tricky. It simply degrades the crisp, creepy lines you want for your evil clown façade. Thirdly, it's tricky to make any costume companies deliver to storm drains for some reason. Honestly, we don't even do that! So, before you move into your storm sewer this season, get ahold of this Pennywise makeup kit. It comes with white cream makeup that's easy to apply in a tube. You'll also get two makeup applicators for detail work, and a stick of red lipstick, and a palette of red, black, grey, and cream. One more tip, set up some battery powered lighting down there! No need to be a martyr!